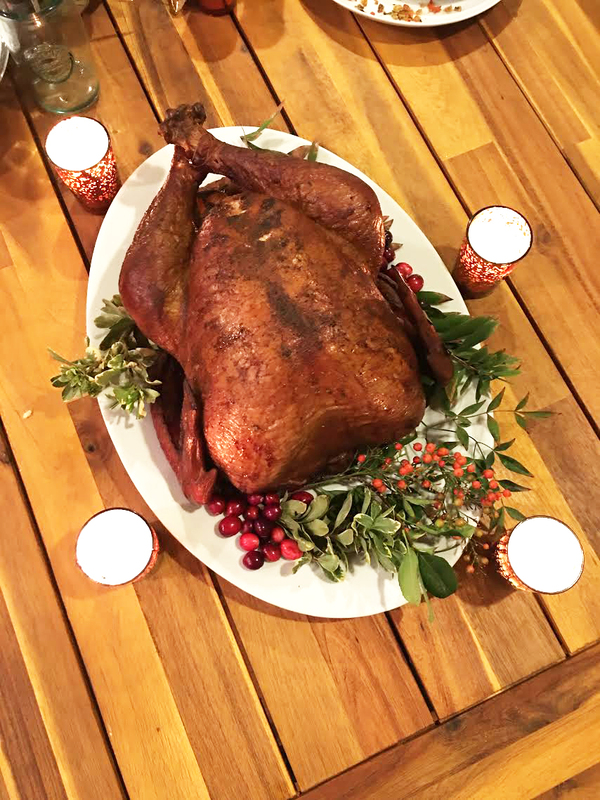 This year was my first hosted Thanksgiving! I really felt like it was a huge rite of passage and a feat I was really worried about pulling off! It helped that our family members pitched in a ton – it was SUCH a good experience. I’ve grown to love Thanksgiving so much. 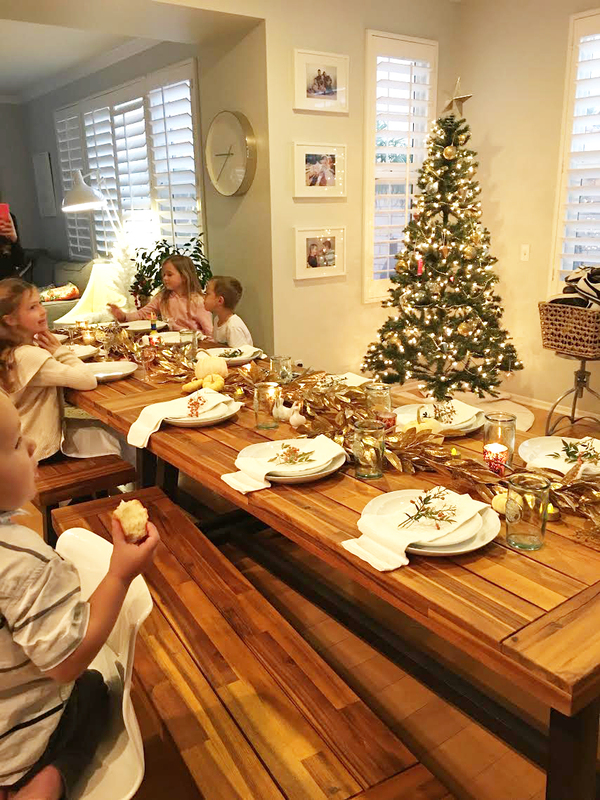 NO presents or hoopla, just love, togetherness, good food and thanksgiving. 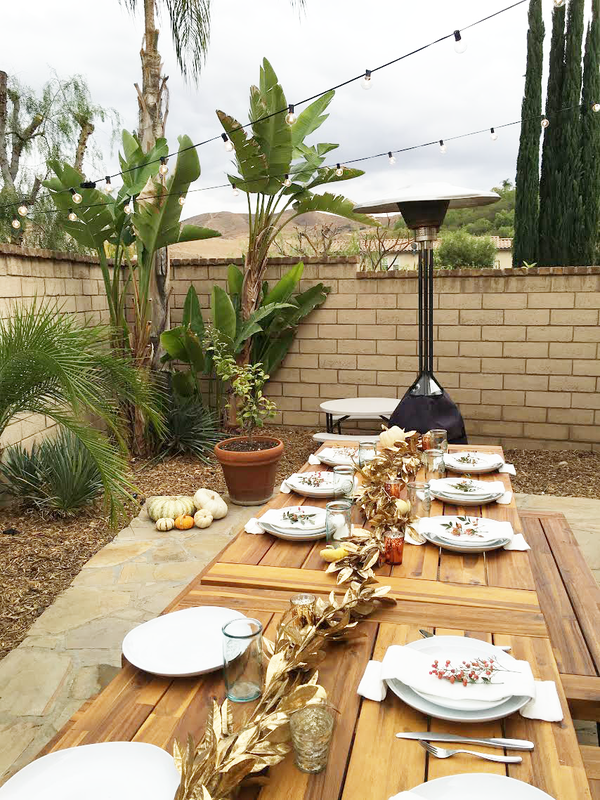 I love love love this day so much and I want to share some of my tips and recipes with you for next year! My biggest tip is YOU CAN DO IT!!! Seriously I was so afraid of doing my first Thanksgiving but it worked out. First off my husband took lead on the meat. Several days before hand he Brined the Turkey in this and refrigerated it in a bucket. Yes, a bucket. In a large stock pot, bring all ingredients to a simmer for 10 minutes. Cool to, at least, room temperature. Brine whole raw turkey for 24 hours minimum. Leave all of the veggies and spices in the brine with the turkey. DO NOT ADD THE TURKEY TO THE BRINE UNTIL THE BRINE IS COOLED! 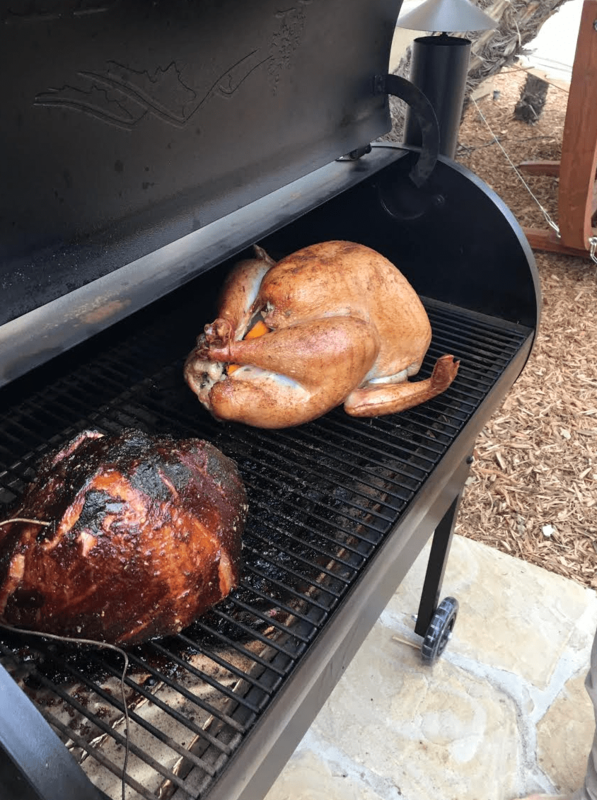 He smoked the Turkey on our Traeger and it was THE BEST we’ve all ever had. The key to a smoked Turkey is to keep an eye on it’s internal temp. Our thermometer was wigging out so it got stressful but I would recommend spending some money on a good one. The money internal temp for this bird was 165. Seriously it was too good to be true. 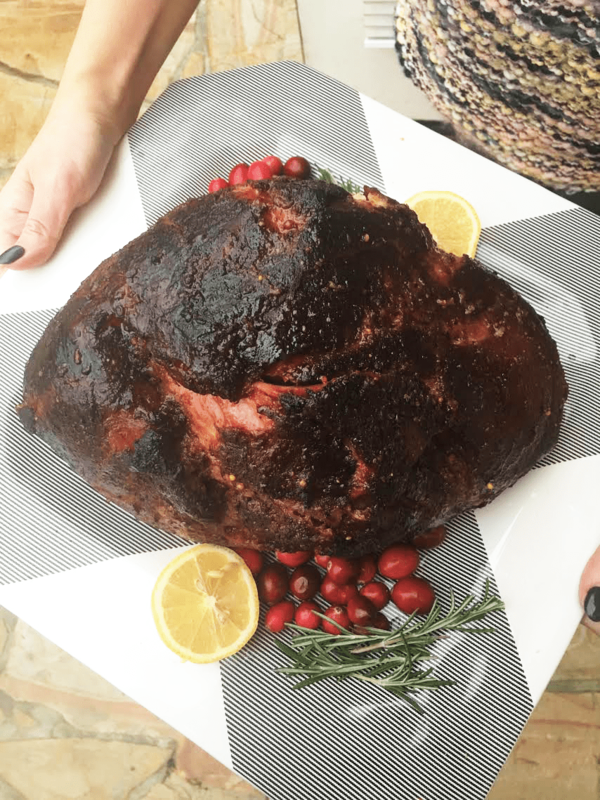 We followed this recipe for Maple Brined Ham and it was DIVINE!!! This one was a lot more time consuming as the Brine required a lot of work but it was so worth it. Let’s get to the important stuff: dessert. If you do nothing ever in your life with regards to baking — please just make this pie. OMG you guys I can’t even begin to describe it’s goodness. 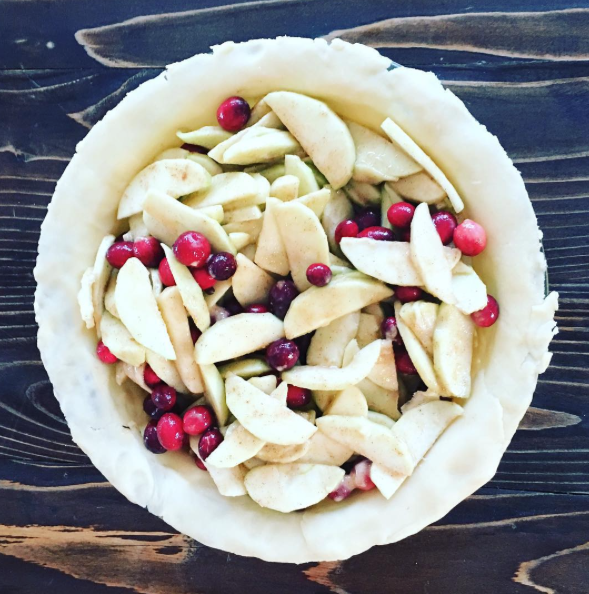 It’s a new staple in our home – in fact I’m making it for a get together this weekend!! I also made this copy cat Magnolia’s Banana Pudding Recipe which I didn’t get a picture of but takes like the real deal. I found a really great price on a Trifle dish on Amazon too which I’ve been meaning to add to my kitchen collection! Almost as important as the food being good is the table being pretty. 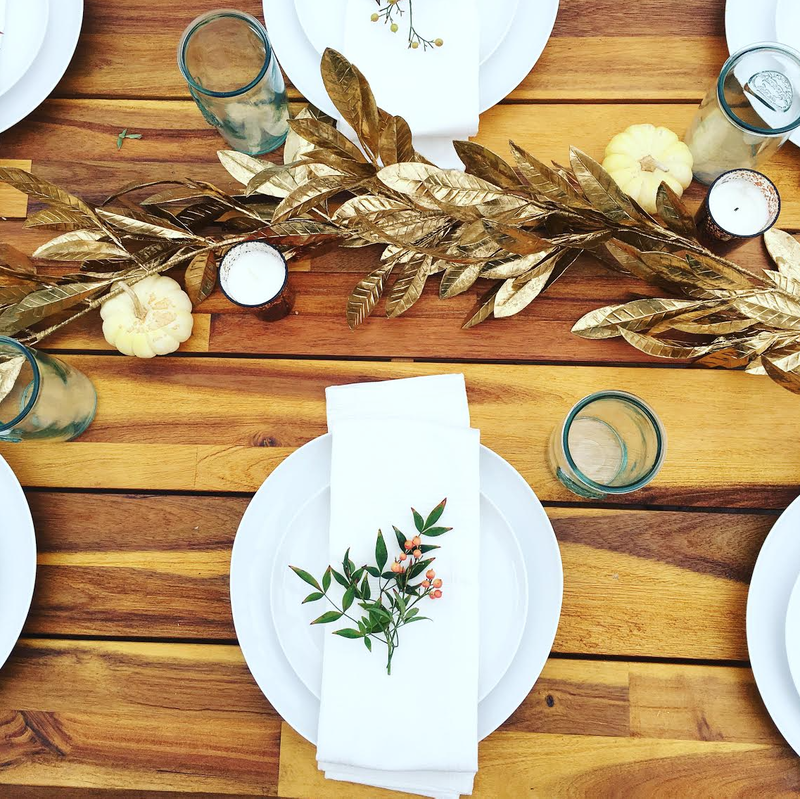 I am OBSESSED with place settings and making the ambiance beautiful. Last year in Southern California it was 90 degrees on Thanksgiving so I thought I would be in the clear….but of course not. See that grey sky? Well before I could get a good picture (I wasn’t finished even setting the table when I took this) it started to rain!! I was so bummed we had to move it inside but it was still beautiful. A note on this patio furniture because I got a ton of questions on my Instagram about it. I looked HIGH AND LOW for patio furniture. I was dying over how expensive it was every where I looked. I seriously couldn’t find a table for less than $700. My sister in law recommended this table from Joss and Main. It’s sold out now but I am going to announce it as soon as I know it’s available again because you have to buy it. It’s such a great price and comes in looking SO beautifully made you would think it was much more expensive. I collected blooms and greens from around my house — so easy but turned out gorgeous. 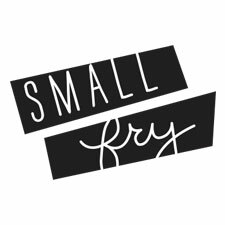 Thanks for letting me recap about this special day for our family here on Small Fry! If you’d like to see more of our personal celebrations leave a comment – we love sharing with you here! I hope Thanksgiving was as full of love, light and belly filling food as ours was! gift guide: kids coloring books mean tweets, kid style!